The population of older Americans continues to increase by leaps and bounds. 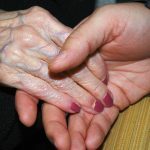 Consequently, issues that impact the elderly and those who care for them have become increasingly important. 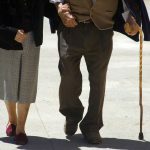 Whether you are a senior yourself or are the loved one of one, you may someday need the assistance of an elder law attorney. 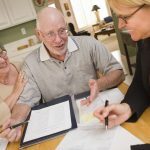 Because elder law is such a relatively new area of the law, people often don’t know when they need an elder law attorney. 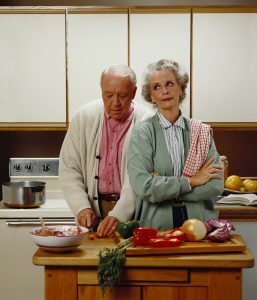 To help you better understand the area of elder law, the attorneys at DeBruyckere Law Offices discuss the top five Nashua elder law topics. As we get older the natural aging process causes physical and mental deterioration. At some point that deterioration could result in your incapacity. In addition, the rate at which people in the United States are developing Alzheimer’s has all but reached epidemic proportions in recent years. Currently, someone develops the disease every 66 seconds in the U.S. and one in three seniors dies suffering from Alzheimer’s or another form of dementia. If you become incapacitated, who will make personal and medical decisions for you? Who will take over your assets and make sure the bills are paid? By incorporating incapacity planning into your estate plan you are able to decide ahead of time who will fulfill those roles. 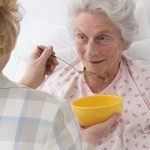 Statistically speaking you stand about a 50 percent chance of eventually needing long-term care (LTC) when you enter your “Golden Years” around age 65. Every year, that figure increases. At age 85, your odds of needing LTC before the end of your life will increase to about 75 percent. Nationwide, the average cost of LTC was around $80,000 in 2017. If you plan to remain in New England, plan to pay about 50 percent more for your LTC bill should you need it. More importantly, neither your basic health insurance policy nor Medicare will cover your LTC expenses. For most seniors, this means applying for Medicaid for help with the high cost of LTC. Medicaid planning ensures that you will qualify when the time comes and you won’t lose assets in the process. Hopefully, you have had an ongoing retirement plan for most of your life. As you near retirement age, however, you will need to merge that plan with your overall estate plan to ensure that the two plans work in harmony together. Although it may be difficult to envision your own funeral and burial, there are a number of reasons why you need to do so. Like many people, you may have very firmly held beliefs regarding what should happen to your body after death. Including funeral and burial planning in your estate plan is the only way to ensure that those beliefs will be honored when the time comes. In addition, by planning ahead you are able to arrange for the financial aspect of your funeral as well. This prevents your loved ones from having to run around trying to put money together for your funeral while freshly grieving your loss. It also prevents them from making emotional decisions that are likely to result in wasting money and are not likely to be what you wanted. As a senior, you will likely be entitled to a number of different state and federal benefits. Social Security retirement benefits, for example, are benefits that almost all of us can look forward to when we reach our retirement years. 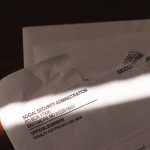 If you were a veteran, or are the surviving spouse of someone who was, you may be entitled to additional benefits, some of which you may not even know about. For example, have you heard of the Veterans Aid and Attendance Program? 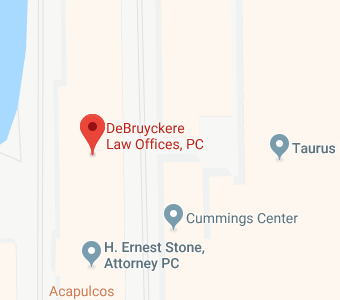 The elder law attorneys at DeBruyckere Law Offices are dedicated to helping seniors, and those who care for them, with all the legal issues they may have during their Golden Years. For more information, download our FREE estate plan worksheet. If you have additional questions or concerns relating to elder law, contact the experienced elder law attorneys at DeBruyckere Law Offices by calling (603) 894-4141 or (978) 969-0331 to schedule an appointment.